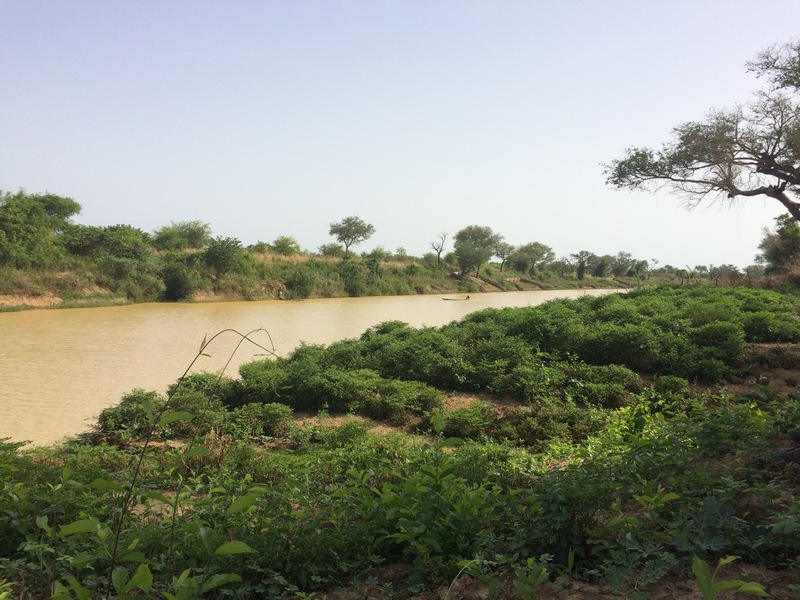 During our BizATE monitoring and evaluation visit in 2016 it was identified to us by members of the Lawra community that Dry Season Farming was an excellent way of providing financial and food security to farmers during the long dry season. 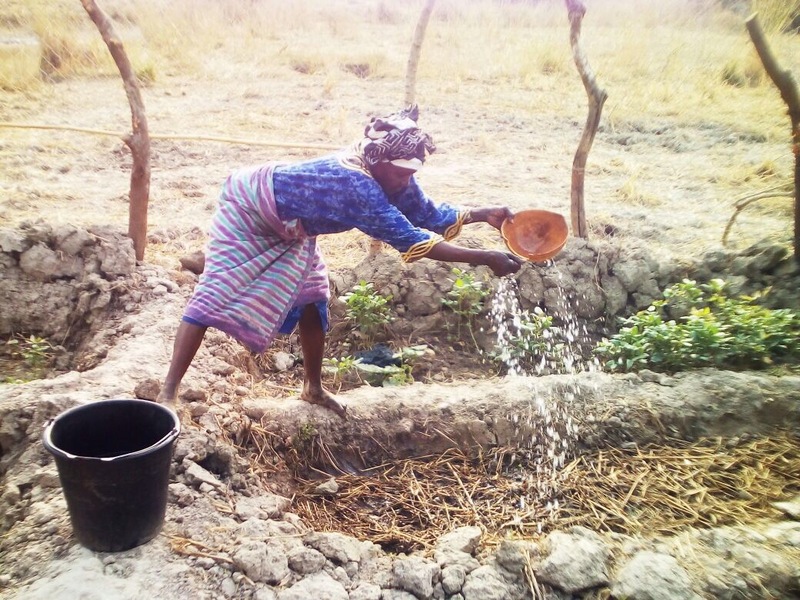 Our Dry Season Farming project is to support dry season farmers in Lawra District to increase crop production, and thereby improve food security and household nutrition, and increase the potential for income generation all year round. In November 2016, two individuals farmers located on the bank of the Black Volta River not far outside of Lawra town, a group of 32 farmers including 8 blind farmers in the rural community of Baazing, and a group of 32 farmers including 14 blind farmers in the equally rural community of Lissa, were all selected from a group of applicants to participate in a six month pilot scheme of the project. At the end of these first six months we have found that the intensive labour techniques of dry season farming are successful in increasing crop production during the long dry season from September to May. The rewards of this hard work are phenomenal; with increased crop production food insecurity during the leanest time of the year is reduced, meaning that the nutritional content of the farmers’ diets as well as those of their family, and even community, are improved. One farmer in Lissa, Sebastian, told us that this change in diet was significant enough that his children are no longer diagnosed as anaemic. 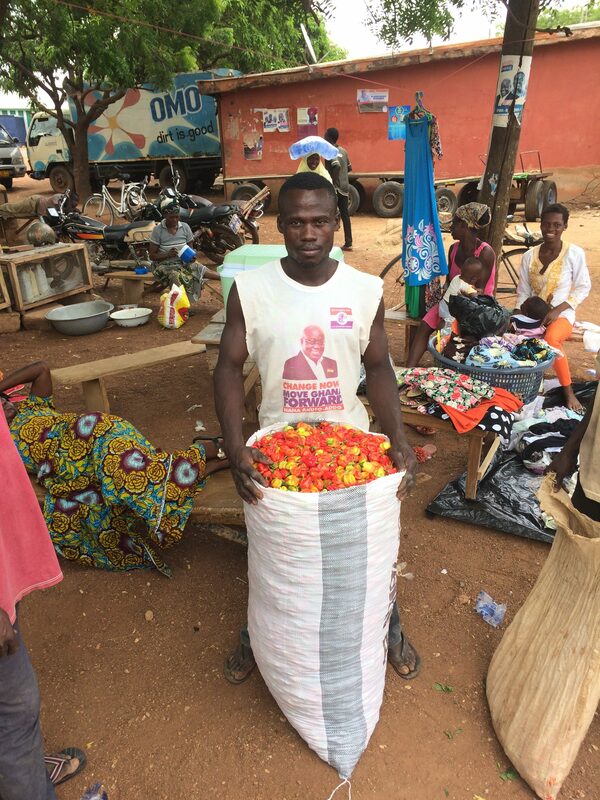 The increased crop production also means there is enough food spare to sell at market, and even to send to markets in the south of Ghana (as you can see Moses doing in this photo) where the profit margins are higher. The improved opportunity for profit from the increase in crop yield has meant that many of our farmers have been able to join saving schemes, with many saving deliberately for their children’s education and health insurance. 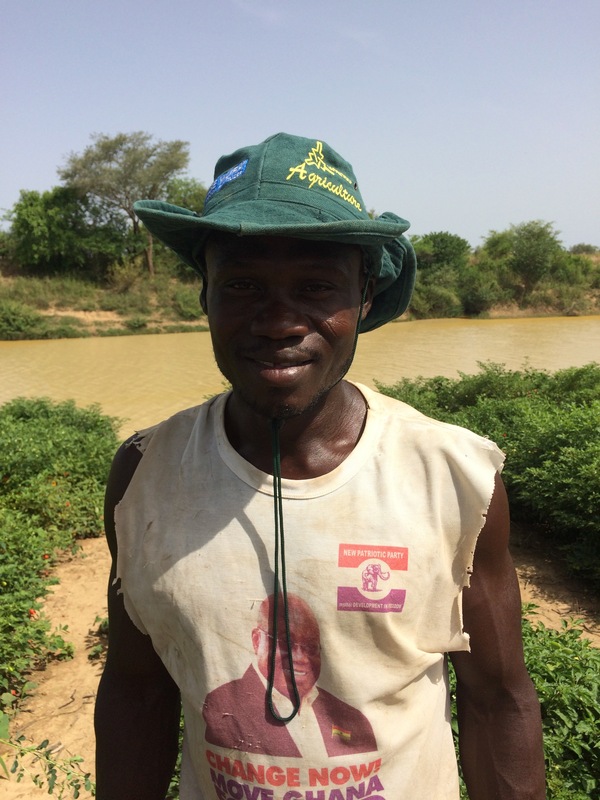 This is Sebastian, the newly elected leader of the LIssa Dry Season Farming Group. The group is composed of 32 farmers, including 14 farmers that are blind. The group work as a team to plant, tend and harvest their crops with each individual splitting the profits and investing into a communal investment fund. Lissa is an incredibly remote part of Lawra District with access to amenities and opportunities for employment being much lower than in the town of Lawra. We are so pleased that the farmers have had a successful first season; growing enough to feed themselves and their community. 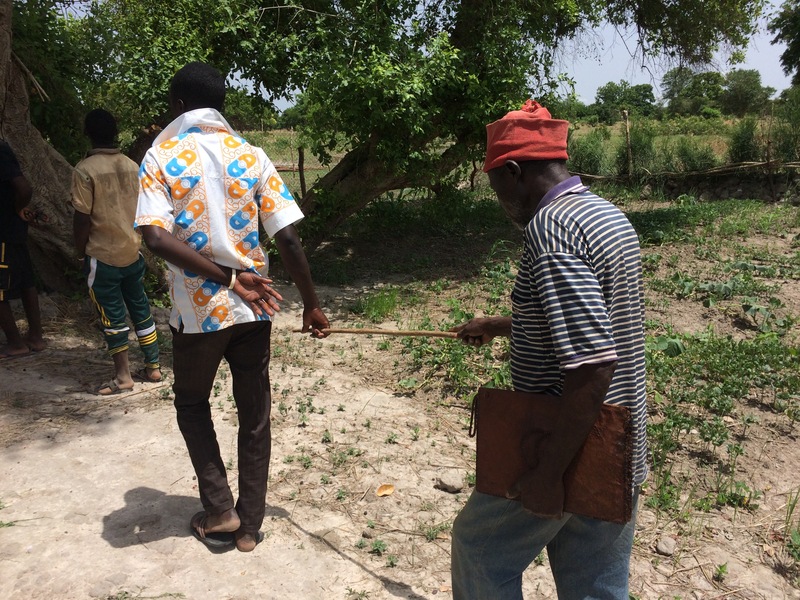 An additional yet equally important outcome of the dry season farming group in Lissa, is the improved perception of disabled people within the community. The Lissa community is seeing the blind farmers working just as hard and contributing just as much as the other farmers in the group, and the community is benefitting from this hard work in the form of increased food availability. The inclusion in this project of blind farmers is taking a strong stand against the common perception in Upper West Ghana that disability is a curse. This is Culture, a farmer working independently along the bank of the Black Volta river in Amburi. This a rural community just on the outskirts of Lawra town. Culture was working as a dry season farmer before partnering with ATE but says his work is much easier after ATE granted him with tools to help with the work. Before he couldn’t get manure down to where his garden was because it is a considerable walk from his home, where he collects the manure from livestock. here but now he can use the wheel barrow. But now, with the wheelbarrow supplied by ATE he can easily transport manure and in the quantities he needs. Culture was also supplied with a pump to extract water from the river, rather than carrying buckets of water from the river which can be backbreaking work. He told us that “the task of watering is also simpler now. It has impacted positively”. This is Moses, he is also an independent farmer on the bank of the Black Volta river in Amburi. In Fact, he and Culture have their gardens enclosed by the same fencing and coordinate their work schedules so they can share lifts on Moses’ motorbike down to the river from their homes. Moses has seen fantastic success with his garden of peppers, greatly multiplying the profits he had made in previous seasons and allowing him to save for his family’s future. 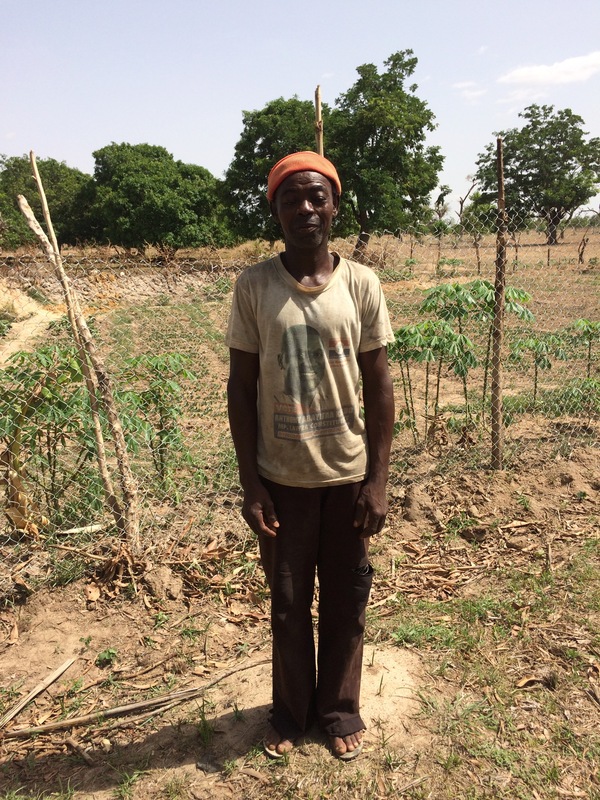 The water pump supplied by ATE has made watering his garden much easier and with the success of this harvest he is optimistic that with the use of his savings and continued hard work he will can expand his garden. Moses has focused his crops on small but sweet red peppers. He sells them in the local markets but has also started sending them to markets in the south of Ghana where he will make a greater profit. 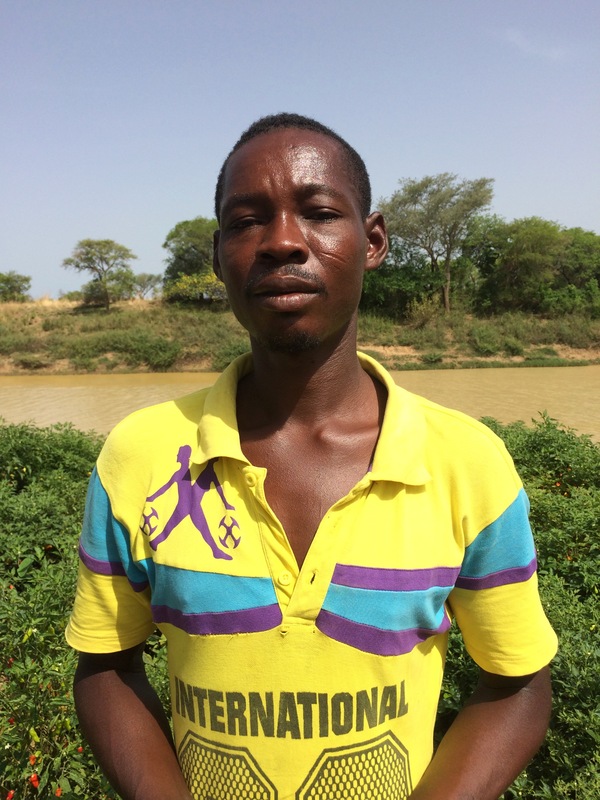 This is Clement, the leader of the dry season farming group in Baazing. 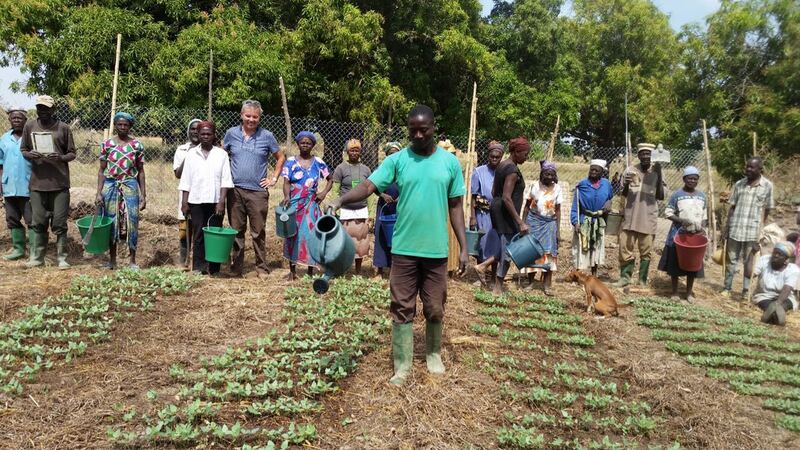 Clement lost his sight a few years ago and here he is being guided along by another farmer through their garden. The Baazing group is in an incredible rural area and has eight blind farmers in their group of 32. When we talk with Clement about the difficulties of working as a blind farmer he told us that ‘Disability is not inability’ and is proud to be contributing towards his community. Clement looks after a communal investment fund for the Baazing members, with each individual contributing ten cedis from their monthly profits to help establish some financial security for the remainder of the year. And in an area as remote as Baazing, income opportunities are few and so it is brilliant to see Clement taking such positive action for the group.